Footstools and ottomans are incredibly versatile, fitting perfectly into a variety of diverse spaces whether used to complement a complete set of furniture or placed alone or in pairs to create an attractive and inviting aesthetic focal point. Russkell Furniture design and manufacture a number of these versatile items including the new Large Open Top Pouffe, which can be expertly upholstered using any of our extensive selection of fabrics and leathers rendered in your ideal choice of colour and pattern. 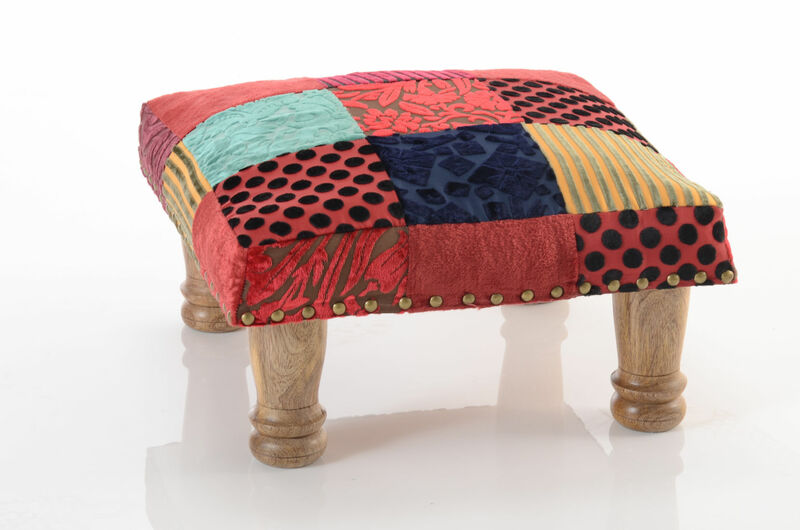 We have three gorgeous footstools in our collection, each offering its own unique style and charm. Bright, quirky and totally contemporary, the Matilda Patchwork Footstool has been created with select squares of fine velvet; strongly embroidered together, these squares form the vivacious design and the upholstery is held in place with strong, gold-coloured studs. Standing on four stout wooden legs, Matilda oozes kitsch charm. 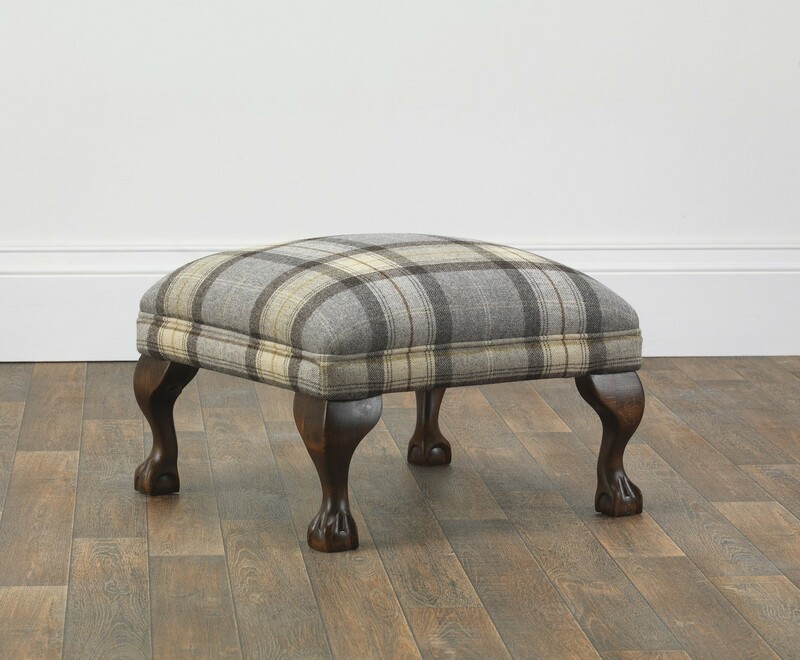 The Tilly Footstool is a timeless, classic design, its Queen Anne style legs splaying dramatically outwards, gently curving to support the seat as they do so. The seat itself offers stunning levels of comfort, whether used for sitting or just putting up your feet. Tilly forms part of our extensive made-to-order range and can thus be expertly crafted and upholstered in your chosen fabric or leather design. Make sure you have plenty of space if you choose this supremely-luxurious piece of furniture! Easily offering seating room for up to four people, Zoe is also available in our made-to-order range. 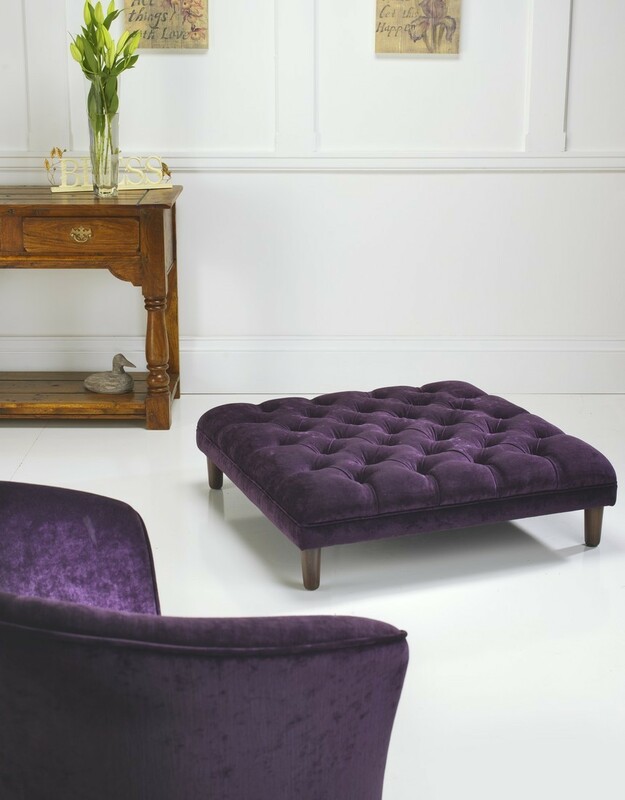 One of the most stunning aspects of this footstool is its unusually-low height; standing just 28cm from the ground, Zoe is cosy, seductive and dramatic. The Large Open Top Pouffe. 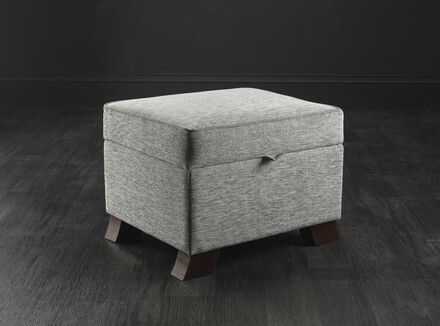 As well as these popular footstools, we have also added the Large Open Top Pouffe to the collection. Also known as ottomans, these pieces of furniture perfectly combine form with function, offering a comfortable sitting place as well as providing valuable extra storage space. As suggested by its name, the ottoman originates from the Ottoman Empire, a 'transcontinental hyperpower' established by Oghuz Turks under the leadership of Osman Bey in the year 1299. This powerful empire was responsible for many developments in art, science and culture, one of which was the ottoman that appeared in Europe around 1729. The ottoman was an important piece of furniture; as the central seating point for entire families, the pieces were much larger than today and were piled high with cushions and silks. Gradually, the size of the ottoman shrank, changing shape from circular, to octagonal, to the standard rectangular shape used today. The Russkell Furniture Large Open Top Pouffe will make a perfect addition to any room; available made-to-order in any of our vast choice of fabrics and leathers, this piece of furniture opens smoothly to reveal a generous storage space within. The unit is supported by discreet, refined legs that can also be removed if required. Having trouble deciding which of our fabric and leather designs will look best in your home? Why not use our request-a-swatch service to receive up to five samples absolutely free? Don't forget, all orders placed before 31st March 2014 will receive a fantastic 10% price discount at our secure online checkout. Please enjoy browsing our unique collection of made-to-order luxury footstools and ottomans. For more information on the selection, please call our friendly and efficient customer service team on 01254 773232 or email us at info@russkellfurniture.co.uk.